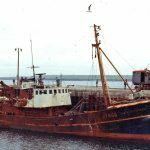 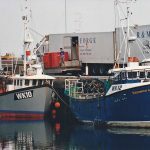 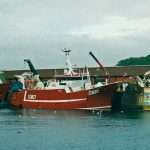 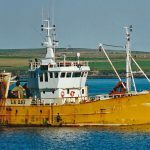 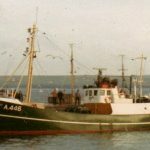 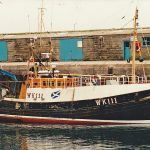 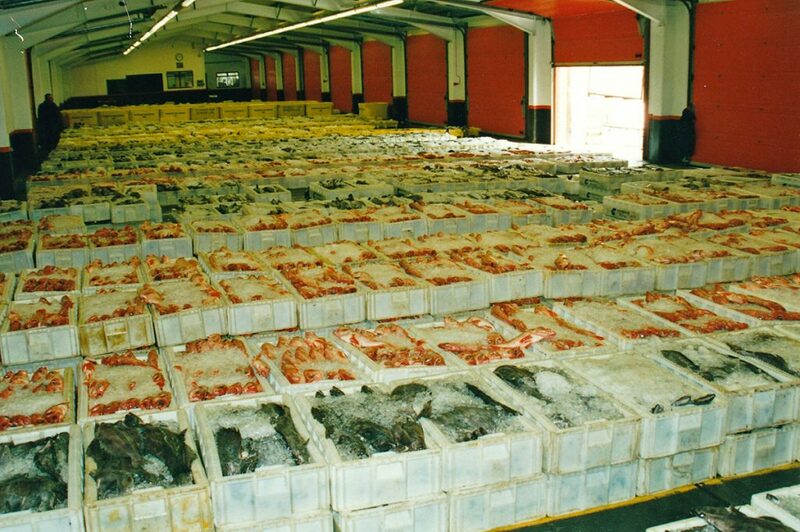 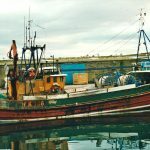 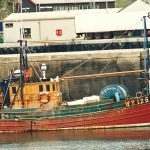 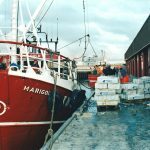 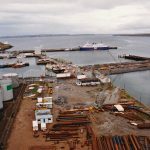 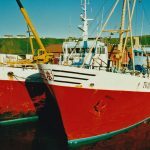 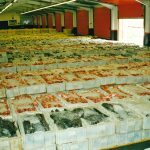 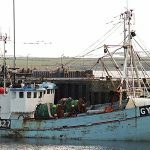 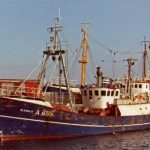 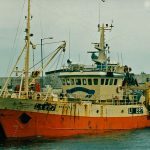 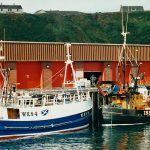 Located in Thurso Bay, and sheltered by Holburn Head to the northwest and Dunnet Head to the northeast, Scrabster harbour has long occupied a fairly unique position in the UK fishing industry. 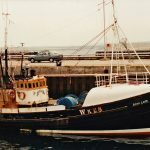 Its geographical location in the Pentland Firth meant that Scrabster was regularly used by sail, steam and, later, motor-driven fishing vessels transiting from one side of Scotland to the other. 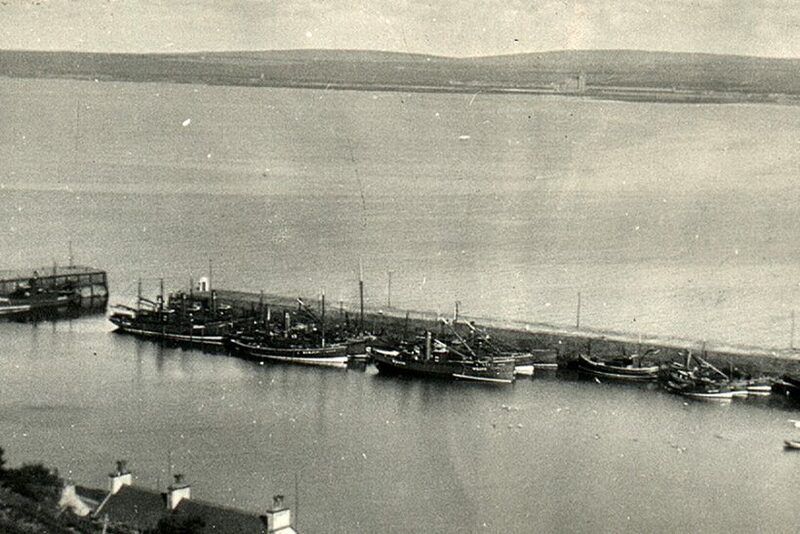 Above: Steam drifters berthed in the original harbour at Scrabster. 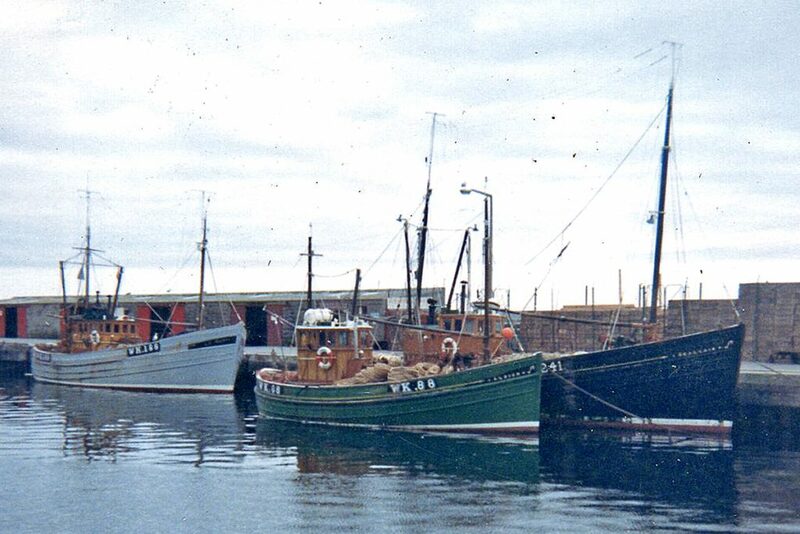 Larger side-trawlers from the Humber ports, Granton and Aberdeen regularly berthed at Scrabster for service work to be carried out while on passage to near, middle and distant-water grounds from St Kilda, north to Iceland. 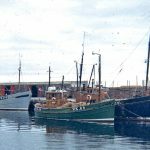 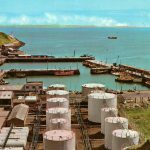 This succession of visiting vessels compensated for the general absence of what could be described as a ‘local fleet’ although, Wick-owned vessels regularly berthed at Scrabster when southeasterly winds prevented them from using their home port. 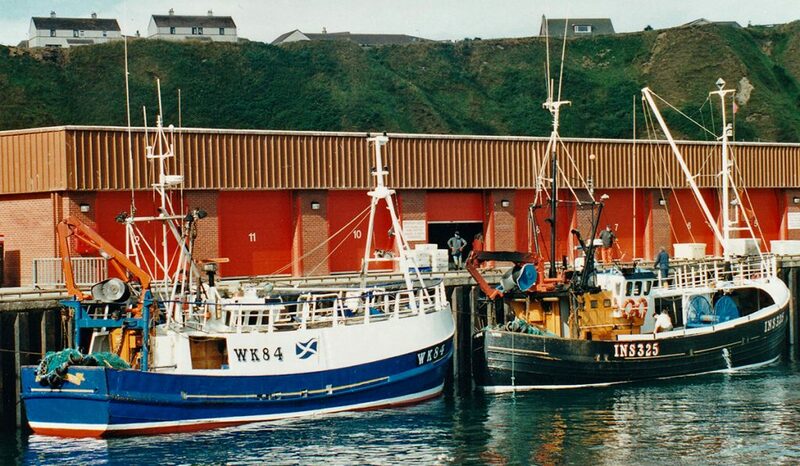 The presence of a railway line extending from Inverness to Thurso, just one mile from Scrabster harbour, facilitated the movement of fresh fish and ensured that Scrabster was a viable landing port when the need arose. 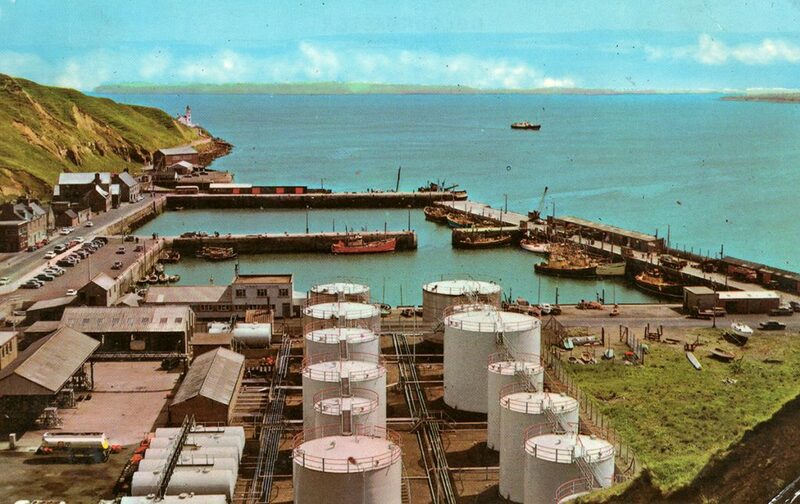 This transport link played a major role in the two World Wars, when large numbers of sailors were based at the vitally important Scapa Flow RN base in Scapa Flow, Orkney, when Scrabster was the departure point to cross the Pentland Firth. 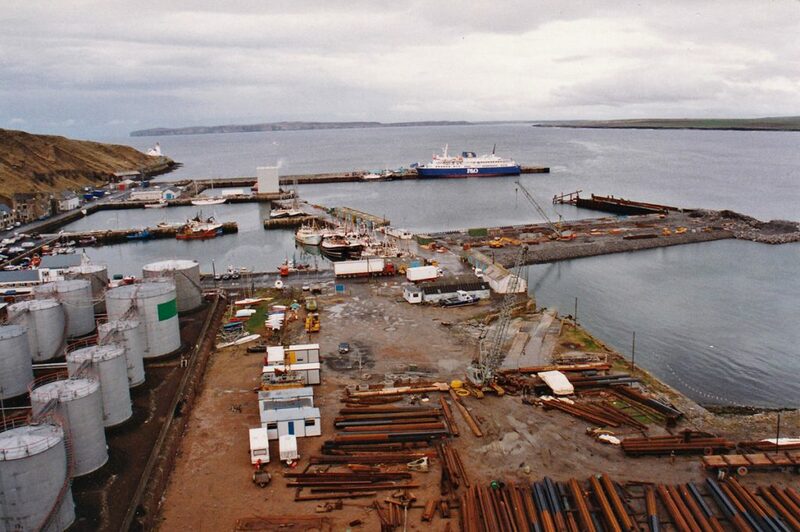 Scrabster’s long-established role as the main ferry terminal for Orkney contributed to the gradual expansion of piers and harbour facilities, which included a narrow fishmarket, reflecting the restrictive quay space at the time. 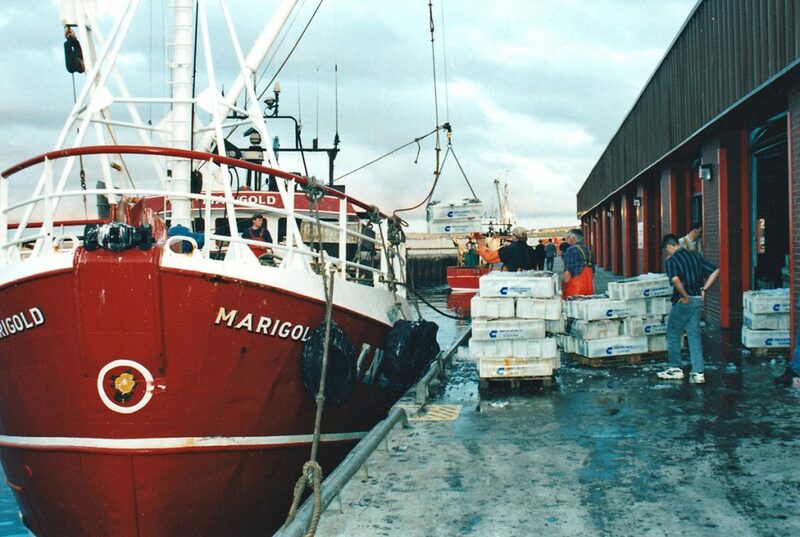 This situation changed dramatically in the late 1980s, with the construction of a new deep-water fish basin and a modern fishmarket, built on reclaimed land that also provided considerable room for further infrastructure development. 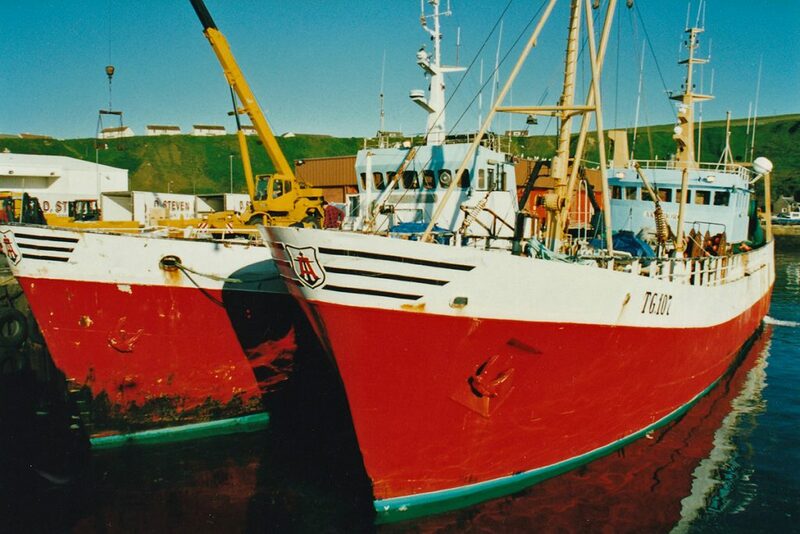 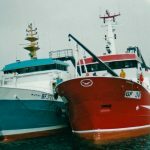 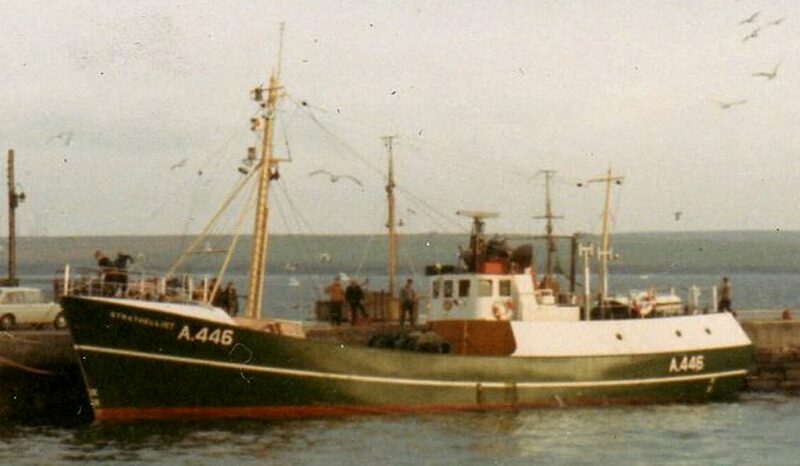 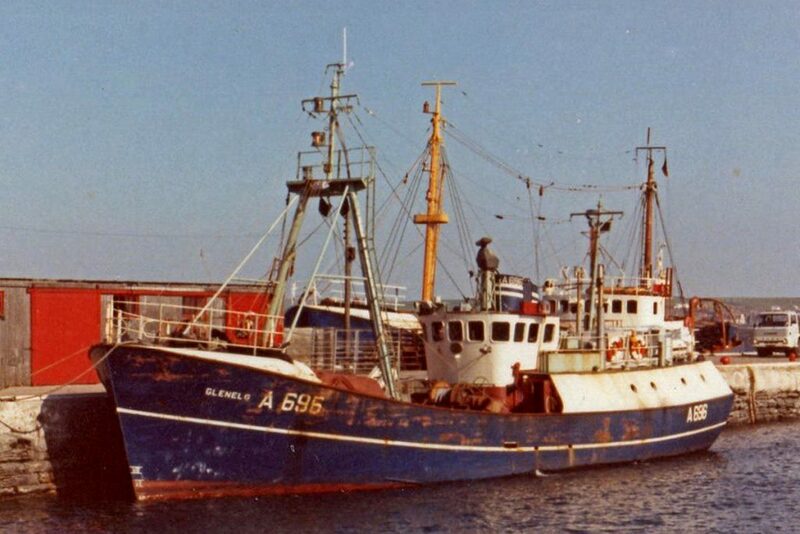 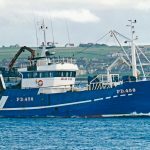 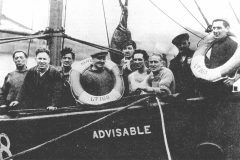 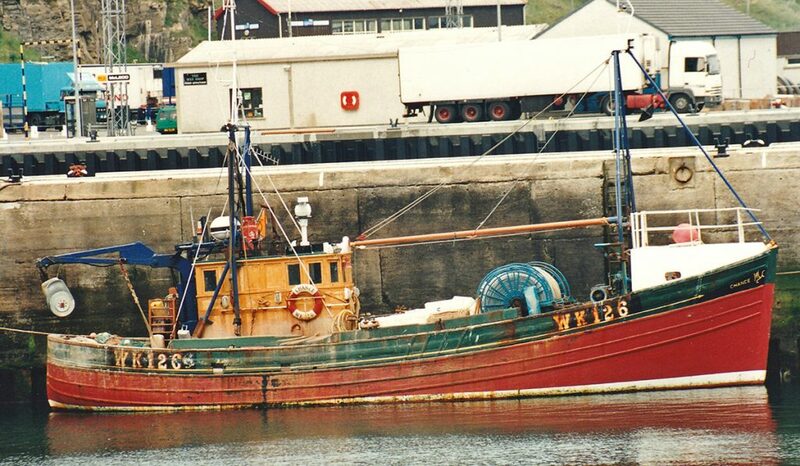 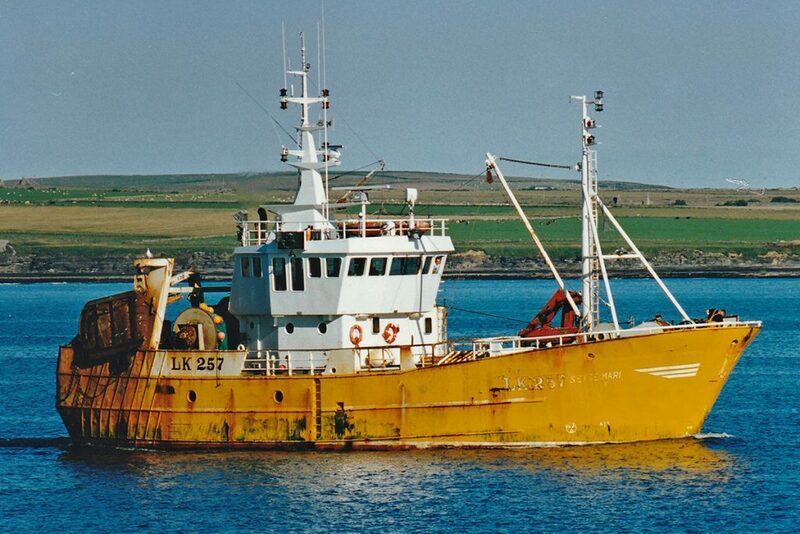 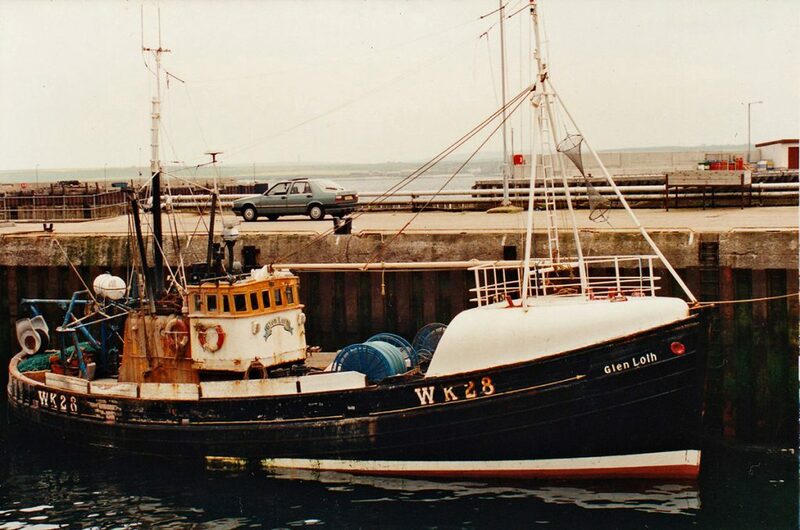 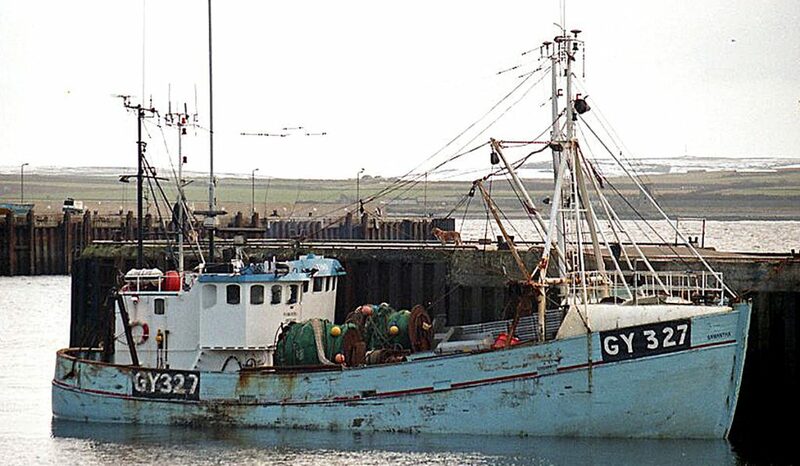 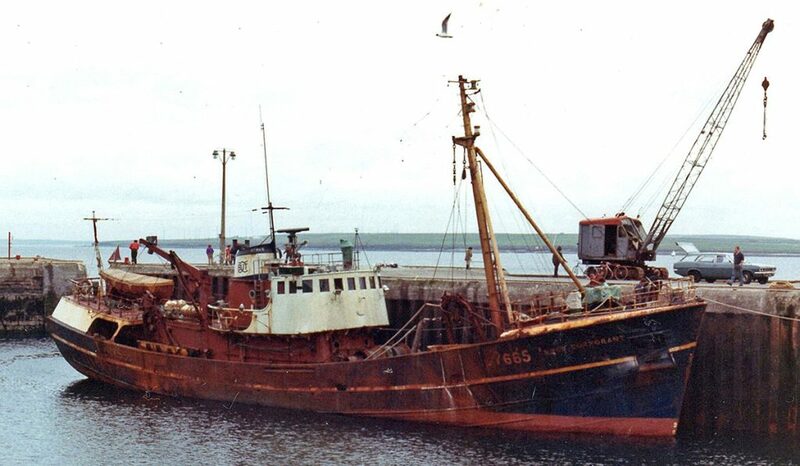 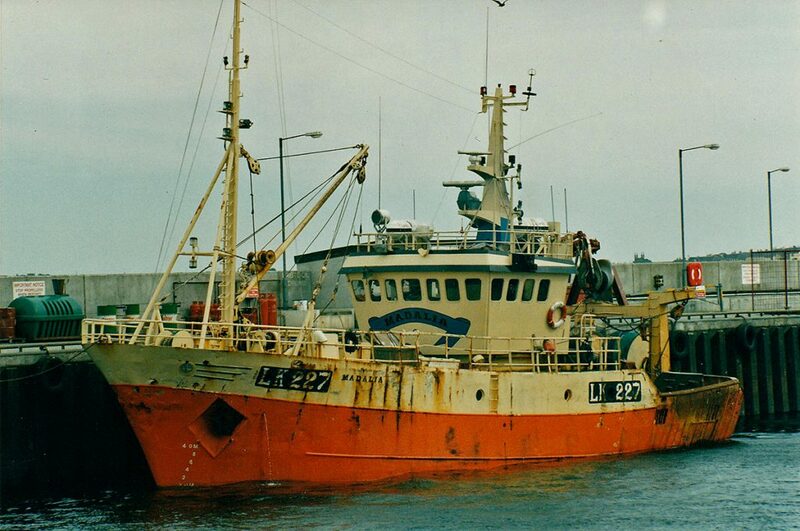 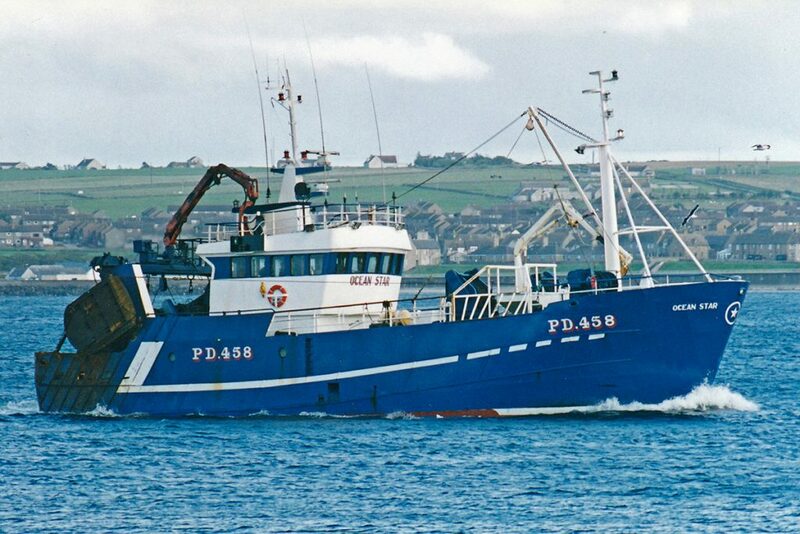 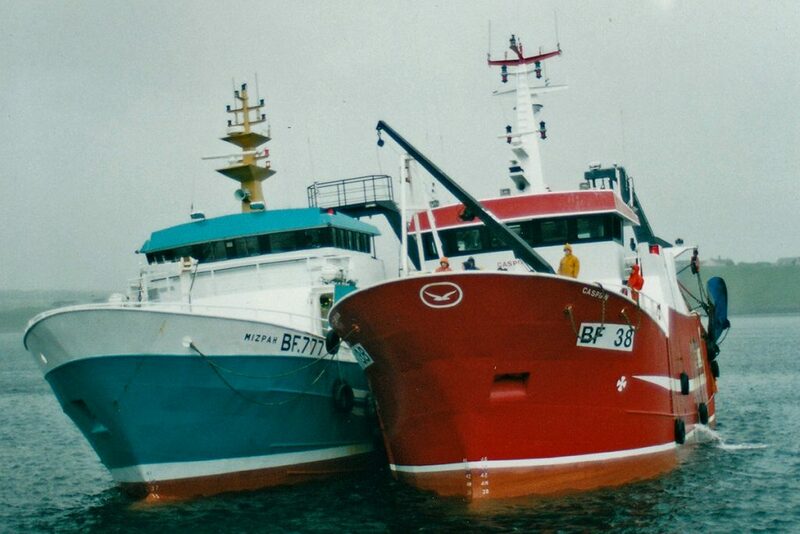 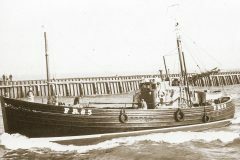 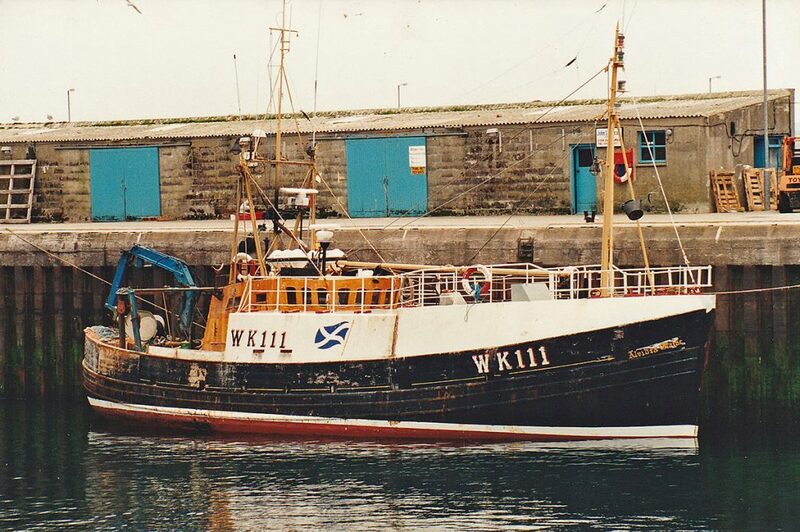 Coinciding with a move to fishing in deeper water, that required a bigger class of vessel, this project led to a marked increase in fishing activity at Scrabster, albeit for a relatively short period due to the loss of quotas. 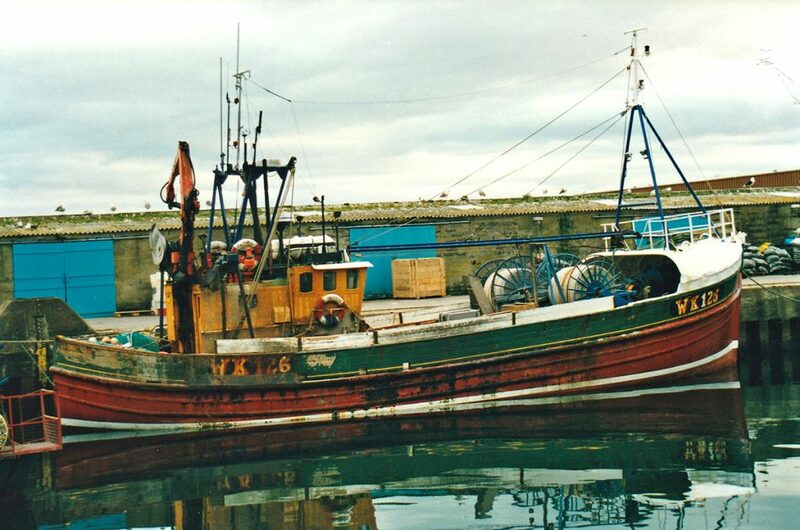 The extent to which the Scottish fleet was hit by the eventual allocation of deep-water species, is clearly shown by the fact that all of the boats shown in the relevant selection of photographs in this feature were taken in the past 25 years; the majority ceased fishing some 15 years ago, including many that were decommissioned. 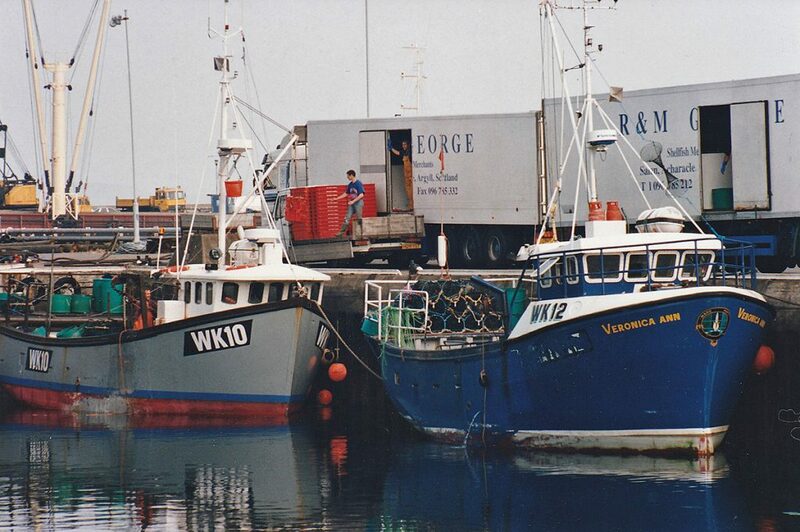 Take a trip down memory lane with our nostalgia section on Fishing News.